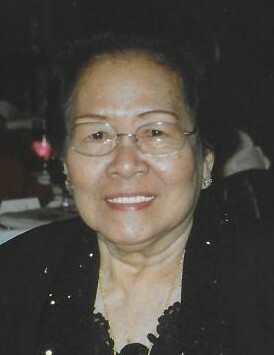 Constancia Amoranto Alviar, 91 of Bloomfield, entered into eternal life on Saturday, November 17th at her home. Born November 30, 1926 in Binan, Laguna, Philippines, to the late Esteban Alviar & Sinforosa Amoranto, she lived here for the past 35 years. She is a devout member of St. Valentine Church and member of the Calamba Association - US Chapter. She is the beloved sister of Emma, Mario & Amancio A. Alviar. She is also survived by her sisters in law and many nieces, nephews and friends. A Funeral Mass will be celebrated on Saturday, November 24th at 10:00 a.m. at St. Valentine Church, 125 N. Spring St., Bloomfield, NJ.